Chopra’s medical training is in internal medicine and endocrinology. He is a Fellow of the American College of Physicians and a member of the American Association of Clinical Endocrinologists. Dr. Chopra serves as Co-Founder and Chairman of The Chopra Center Deepak Chopra, MD serves as the Founder and Chairman of The Chopra Foundation, and Co-Founder of the Chopra Center for Wellbeing. 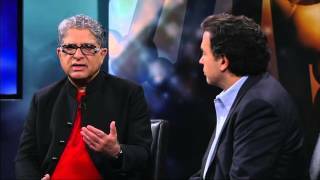 Deepak Chopra is currently not accepting new questions. How can someone begin to make meditation a daily practice? What advice do you have for someone just beginning to mediate and struggling with it? If you are struggling with meditation, then my advice to you would be to let go of all your expectations of what you think meditation should be. Your ideals of it being something that gives you instant peace and happiness can make you feel frustrated and lead you to think you are doing something wrong if you don't feel those things in your meditation. Understand that when you are doing meditation correctly, you are in the hands of your highest intelligence and guidance and everything that happens leads you to greater healing and self-awareness. And that is really what meditation is for. How much do you meditate per day? I typically wake up before sunrise and meditate for at least an hour. He’s one of the prominent spiritual leaders of our time. 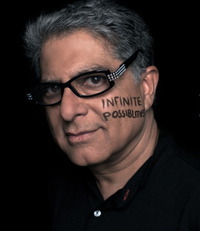 Deepak Chopra has written 64 books and 19 of them are best-sellers! We’d love your help. Let us know what’s wrong with this preview of Small Victories by Anne Lamott. Have you ever been profoundly affected by an author's work? Which of the following authors have impacted your life?